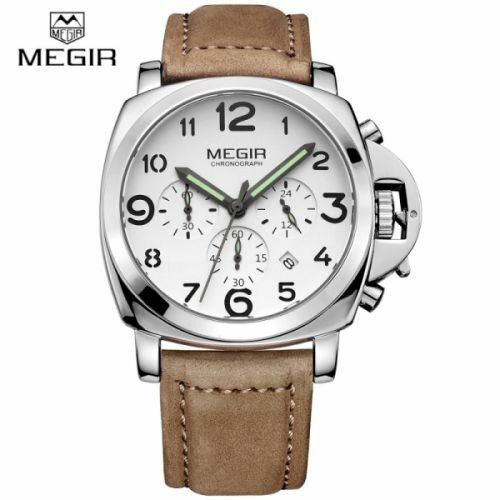 Perfect for the man who likes to explore the land, travel to exotic places, and keep his sense of style while doing so. Large dial with big, bold numbers, this is a solid timepiece with a case thickness of 16 mm and quality leather strap. GRAB YOURS NOW! CLICK ADD TO CART!